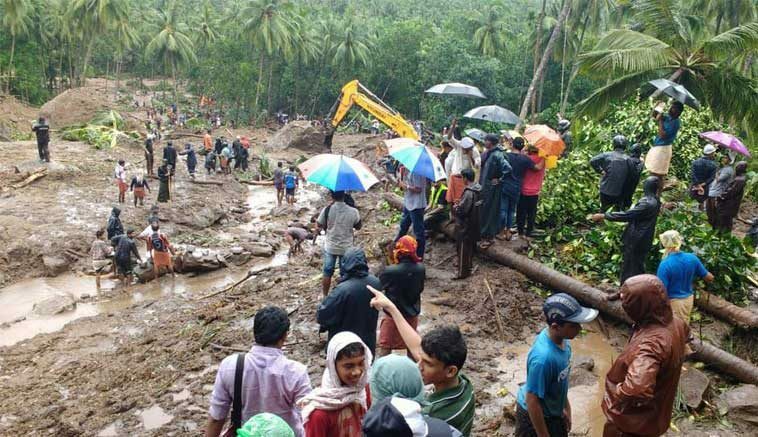 The CM of the state of Kerala has kept the area under high alert when the death poll of the person in the heavy rainfall rose to 12. Moreover, three persons are missing in the state in the wake of heavy rainfall. Out of the missing ones, one is the Sabari Mala pilgrim and the other two were fishing in the Manimala river in Kottayam. The Chief Minister of the state has instructed all the district collectors to keep the cities on high alert due to heavy rainfall. These rain showers are predicted until Friday. To monitor the rain relief activities himself, the CM help a video conference with the district authorities. The CM said that he has already instructed the district authorities to regulate the supply of drinking water and food in the flood-affected areas. Even the hospitals are instructed to get ready to handle emergencies. Special care will be provided to the sick people staying in the inmates camp. A senior official from Kerala has said that around 22,000 people are housed in different flood relief camps and the state is well prepared to withstand the situation. During the last 24 hours, 111 camps have been opened in the state and the state is doing its best to combust the situation. This record was collected in the last 24 hours and this monsoon surge is expected to continue for a few more days as well. Be the first to comment on "Many People Dead And Missing In Kerala Rains, All Districts On High Alert"